Ahead of the Lanarkshire derby, Keith Lasley sat down to discuss the week ahead in the first interview in our new coffee chat feature. The assistant boss touches on what can be learned from the opening day defeat at Hibs, and how the team plan to try and bounce back in their first home league fixture of the campaign. Our interview was filmed at the Windmills Cafe in Motherwell. Windmills is a social enterprise cafe in the heart of Motherwell which is committed to ensuring young people with learning disabilities have equal access to meaningful work experience opportunities. For more information, visit Windmills Cafe’s website. Want to get your hands on a unique piece of Motherwell FC memorabilia? The Well Society are selling a number of dressing room boards the players would see when they came in for match in the 2017/18 season, which have all been signed by the relevant player. 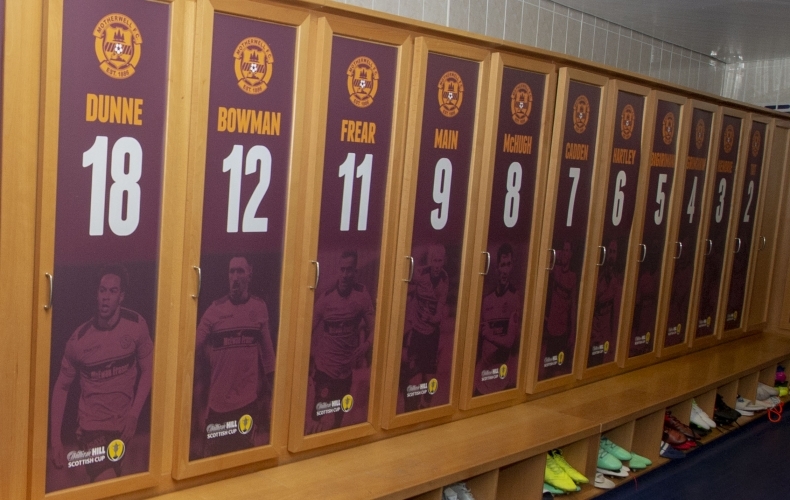 The boards available include those used in the home changing room at Fir Park, and also a selection of bespoke ones from our William Hill Scottish Cup final. Bidding on boards starts at between £45 and £50 per board. Remember, all money raised will be doubled through the Well Society scheme, meaning additional funds to benefit the club. The list of the available boards is below. These are available through the Well Society’s eBay page. The first Lanarkshire derby of the season sees Motherwell host Hamilton Academical on Saturday, 11 August. Stephen Robinson’s men hold the bragging rights after victory towards the end of the 2017/18 campaign and are looking to bounce back from the disappointment of defeat on the opening day at Hibernian. You can buy your tickets online right now. Adult tickets are priced at £24, and you can bring up to two kids along with you for just an extra £4. Concession tickets cost £17. Prices apply to those aged 60 and over, 16-18 year olds and full-time students with a valid matriculation card. Children aged 15 and under can also get in for £3, if our family pricing doesn’t apply. All four Motherwell loanees made their first league appearances for their respective clubs at the weekend. 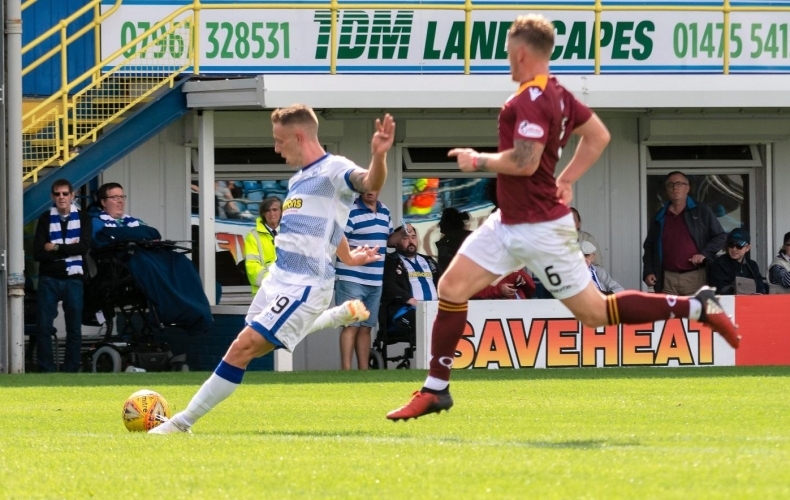 Midfielder Ross MacLean got amongst the goals as Morton drew 2-2 with Queen of the South at Cappielow. The goal had a real Motherwell flavor to it as well, as the 21-year-old picked up a through pass from former ‘Well striker Bob McHugh and slotted past Alan Martin, another Fir Park alumni. That put Ray McKinnon’s side 2-0 ahead, but Queens fought back in the second half to earn a share of the spoils. Jake Hastie was again named in the starting team for Alloa as they faced the long trip north to take on Ross County in Dingwall. Jim Goodwin’s side held tight for the majority of the match, but were stung late on when Davis Keilor-Dunn netted the winner in the dying moments. Staying in the Championship, Shea Gordon was also named in the starting XI for Partick Thistle’s defeat to Ayr United at Somerset Park. The Jags fell victim to the red-hot Lawrence Shankland, whose early brace ensure Ian McCall’s men got their league campaign off to the best possible start. Neil McLaughlin got 82 minutes as Stirling Albion lost 1-0 to Berwick Rangers at Shielfield. The youngster was unlucky not to get amongst the goals, a 37th minute effort coming back off the frame of the goal, only for Ross Brown’s second half effort to win it for the Borderers. Motherwell’s women’s team marked their return to action following the summer break with a 2-1 victory over St Johnstone at McDiarmid Park. Megan Burns lashed home the winning goal after 62 minutes to clinch a crucial three points and steer the women of steel closer to the SWPL2 title. ‘Well started the game brightly and, having passed up a handful of good scoring opportunities, opened the scoring after 12 minutes. Sammy Hare found space in the box, before firing the ball high beyond Corrie McIlravey-Davidson in the Saints goal. It was just reward for Motherwell’s bright opening to the game and there would be further chances for Suzanne Mulvey and Hare, before the hosts levelled against the run of play. A fluent counter attack ended with Rebecca McGowan’s superb shot into the top corner. The second half began at a much slower pace, with chances at at a premium. But it would be Eddie Wolecki Black’s side who would restore their advantage. Mulvey laid the ball to Burns, who demonstrated excellent close control before blasting a trademark effort into the roof of the net. 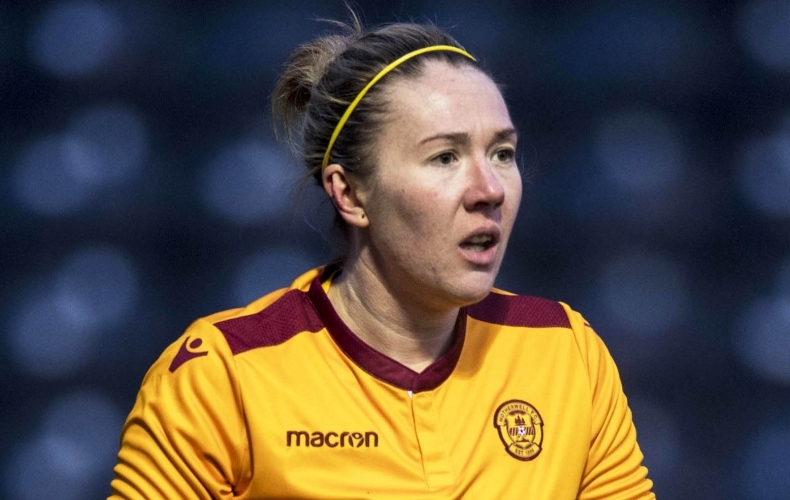 Kirsty McLaughlin struck the crossbar as Motherwell tried to add to their lead, but the final stages would be somewhat nervy as Saints pushed to get back on terms for the second time in the match. It appeared that both teams were tiring, with the effects of the summer break clearly taking its toll, but the visitors’ defence held firm to secure the victory. Attentions after the match turned to the action at Rugby Park, where Kilmarnock secured a late win against Edinburgh University Hutchison Vale, meaning the gap at the top remains 13 points with seven games remaining. The two sides meet at Rugby Park on Sunday 19 August – an encounter where a Motherwell victory would move them within two points of securing the league title. Next up for the ladies is a meeting with Aberdeen in the last 16 of the SSE Scottish Women’s Cup on Sunday, 12 August. Kick off at the Aberdeen Sports Village is 3pm. Our opening Ladbrokes Premiership fixture ended in defeat, as the Steelmen lost out 3-0 to Hibernian. Despite having a host of chances to get back in the game in the second half, Stephen Robinson’s men were unable to reduce the deficit. Motherwell created chances but ultimately went down 3-0 in their opening Ladbrokes Premiership fixture away at Hibernian. Goals from Stevie Mallan, Oli Shaw and Martin Boyle consigned the Steelmen to defeat, with substitute Danny Johnson having a host of late opportunities to reduce the deficit. 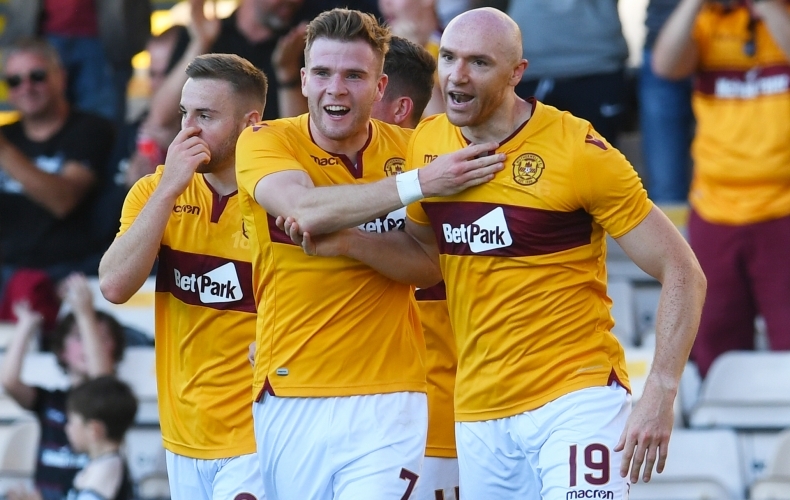 Peter Hartley, Andy Rose and Liam Donnelly said it’s a matter of bouncing back after Motherwell lose out 3-0 at Hibernian in their Ladbrokes Premiership opener. The Steelmen lost in the capital to goals from Stevie Mallan, Oli Shaw and Martin Boyle but will pick themselves up to face Hamilton Academical next weekend. Stephen Robinson insists his side won’t be too disheartened after suffering a 3-0 defeat at Easter Road. 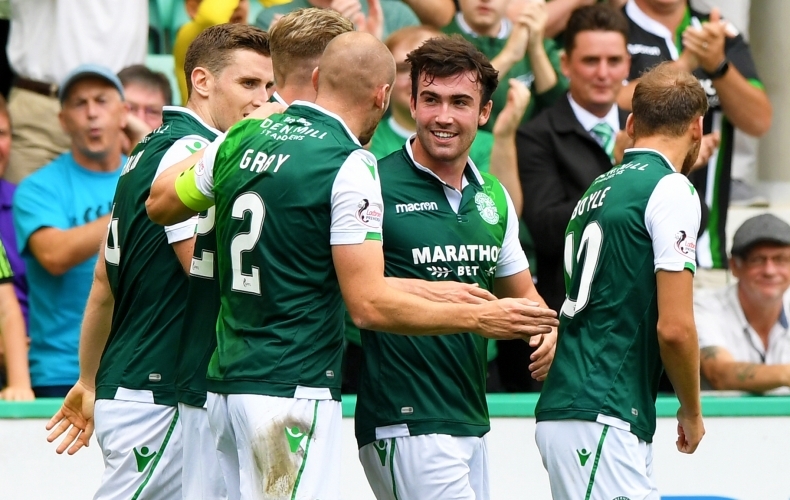 The Northern Irishman believes that, despite the scoreline, there were positives to take from the league opener against Hibernian. “It’s one game,” he said. “One game against a team expected to be right up there this season. We can take positives out of it but there’s also plenty of things to work on. “I don’t look for excuses and I know we’ll take the positives from today’s game, but it’s never easy coming to Easter Road, especially with only two fit defenders able to start the game. Motherwell started their Ladbrokes Premiership campaign with a resounding 3-0 defeat away at Hibernian. Stevie Mallan, Oli Shaw and Martin Boyle grabbed the goals as the capital club confidently picked up their first three points. Stephen Robinson made three changes from the side that started the comeback Betfred Cup win at Clyde. Liam Donnelly, Aaron Taylor-Sinclair and Liam Grimshaw came into the team, replacing Elliott Frear, the suspended Allan Campbell and the departed Cédric Kipré. A slow start to the first half saw Hibs troubling down the flanks and Motherwell looking to take an opportunity on the counter, but creative play was lacking for the most part. When the chance was finally presented to the hosts, they capitalised on it. Peter Hartley was adjudged to have handled a shot fired at his hands on the edge of the area, giving Mallan the chance to shoot from 20 yards. Curving the ball around the right of the wall, his placed effort found the bottom corner of the net to put Hibs in front with 29 minutes on the clock. The game continue to ebb and flow before Hibs grabbed their second as the interval approached. Shaw nipped round the back to get on the end of McGinn’s pass, and he prodded past Carson at the post to double the advantage. Yet it was the Steelmen who would have the final chance of the first half. Cadden worked himself space on the right and flashed an effort across goal, but the outstretched Bogdan steered the ball out of the path of the onrushing Main. The visitors rang the changes at the interval as they sought a way back into the match. Bigirimana and Frear replaced Grimshaw and Taylor-Sinclair, as Robinson changed his side’s shape to try and get a foothold in the game. Hibs started the second period with the same intent, and they would put the game out of sight just six minutes after the restart. Boyle had time and space to drive at Hartley outside the area and, with the defender backing off, picked his spot to rattle the ball past Carson. The hosts introduced international players Slivka and Maclaren as the game wore on, with Motherwell prevented in the main from carving out real scoring chances. Substitute Danny Johnson was to be handed a glorious one with 17 minutes remaining. Latching onto a loose ball he bore down on goalkeeper Bogdan and placed it past him, but the ball bounced off the post. With the ball arriving back at Johnson he again beat Bogdan as he twisted back inside and went for goal, but he was denied again by the lunging Ambrose. The summer signing continued to cause trouble. Minutes later he worked himself room to shoot on the edge of the area, but dragged his shot past the right post. Then again soon after he burst into the box but could only poke his effort into the chest of Bogdan as Hibs tired. It would be Johnson who would eventually get the ball in the net for Motherwell. Persevering as the ball bounced about in the box, he lashed the ball home at the third attempt but was adjudged to have fouled in the buildup.